London, Paris, New York and Milan. The “big four” fashion cities are every designer’s dream stage. But it is not easy for small, independent brands, as the runways are taken up by megabrands with years of legacy and money. Overcoming the odds, two Korean brands succeeded in making their dreams come true last season -- and they are not even from mega fashion companies. 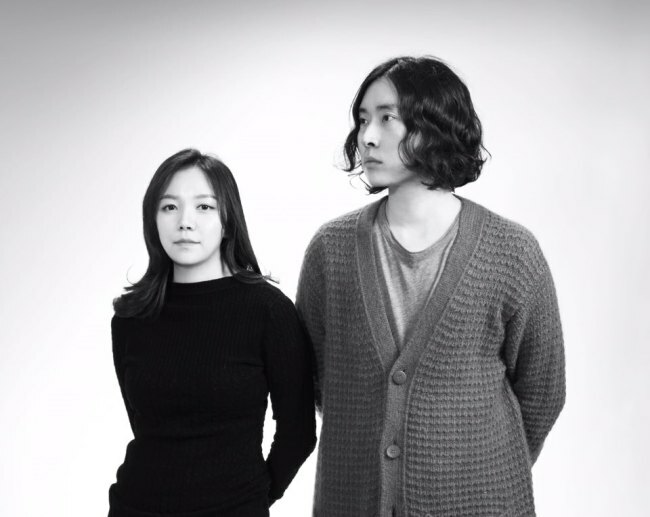 The Korea Herald talked with the designers about their brands and the prestigious runways. Searching for news articles mentioning Besfxxk on a Korean search engine yields few results. But Google the name and one can see the brand is in the international limelight. The independent brand is more often discussed in English, French or in Italian, than in Korean, and is often mentioned as a Korean brand to watch out for. 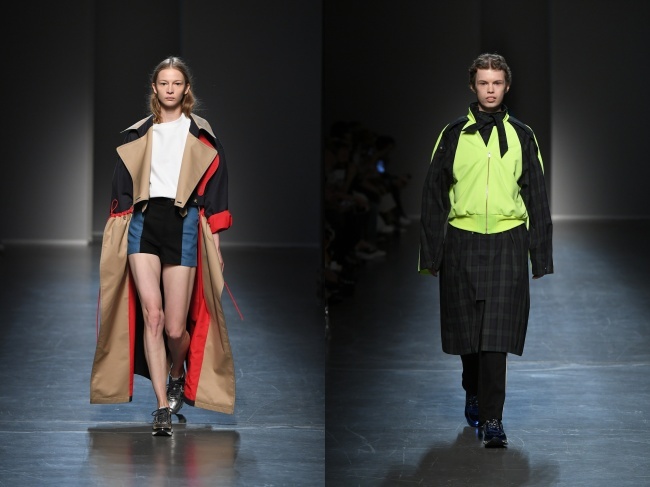 Besfxxk has participated in multiple international fashion events, including trade shows and showrooms, but the highlight was the Milan Fashion Week men’s spring-summer 2019 in June. “We were invited by the committee. It offered a complete sponsorship,” designer Kim Bo-na told The Korea Herald in an interview at her office in central Seoul. She and her friend Lim Jae-hyuk are the duo running the brand. Having presented at a showroom during Paris Fashion Week in 2017, it was not the first time for the two designers to take part in an international fashion event. Still, they had a runway show in Milan. “Honestly, the show was so hectic, I could not even be awed by what we had done,” Kim said, recounting what Milan was like. Talking about emotional moments, she brought up Paris instead, but not the showroom event. “There is this famous concept store in Paris called L’Eclaireur. It has the trendiest brands. We used to look up to it so much when we were studying fashion. Seeing our clothes hanging there, we were overwhelmed with emotions,” the designer said. Paris is not the only city where Besfxxk’s clothes can be found. The brand is stocked by more than 40 concept stores and department stores abroad. However, in Korea, only those who visit its office can make a purchase. Besfxxk was launched in London, where the duo had studied fashion, and it was after the brand had established itself there that it moved to Seoul. “Some people ask us how we have settled firmly in the overseas market. But we started abroad. For me, it works the other way round,” she said. Kim was right in explaining her clothes as “bold and extravagant.” Besfxxk’s look book is filled with experimental deconstructions, challenging the very definition of fashion. Besfxxk transforms an item’s structure, and makes it wearable in various forms. For example, a trench coat can be worn in two different ways, by attaching or detaching the sleeve details. With the sleeve details on, the trench coat would have a more elaborate overall shape -- more appropriate for a runway. But without the details, it has a more wearable shape. Such variations are given to almost every item, the designer said. “We sometimes combine two different items, such as a jacket and a T-shirt. But we would not just cut and sew the two together. We create a completely new silhouette by draping and interpreting it in a new way,” Kim said. The design concept is a reflection of the brand’s name. Besfxxk is a play on the words “bespoke” and “f**ked up,” referring to the brand’s identity of distorting classic, tailored garments. The distortion is fresh indeed, highlighted by a mix of avant-garde and sporty influences. “I majored in menswear and have an avant-garde touch. Lim, who studied womenswear has a sporty taste. We are different, but the difference creates something better,” she said. As Seoul Fashion Week fall-winter 2018 wrapped up in March, one brand was on everyone’s lips -- Blindness. It was not the first time the independent designer brand was the talk of the town. The brand’s name made the papers in 2017, when it made it to the semifinals for the LVMH Prize, a highly regarded competition for new designers. Blindness once again made headlines in June, setting foot in London, where it showcased its collection at London Fashion Week men’s spring-summer 2019. Though a menswear brand, Blindness is known for its gender-fluid style. At the brand’s show in Seoul earlier this year, male models strutted down the runway in gender-fluid items. 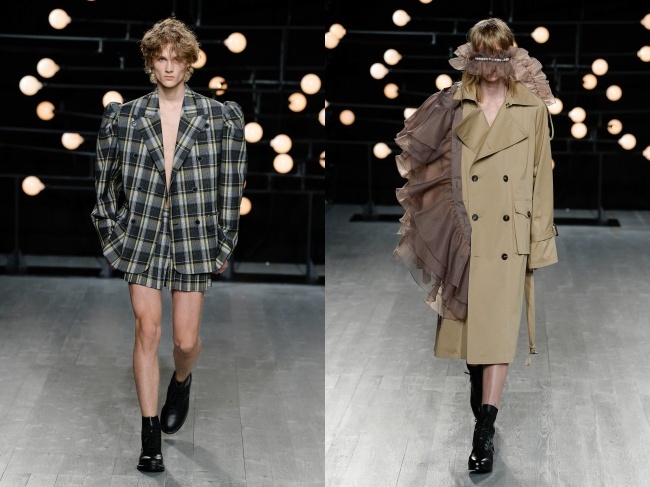 The jackets, coats and skirts all featured heavy ruffles and frills, redefining the silhouette and the mood of menswear. 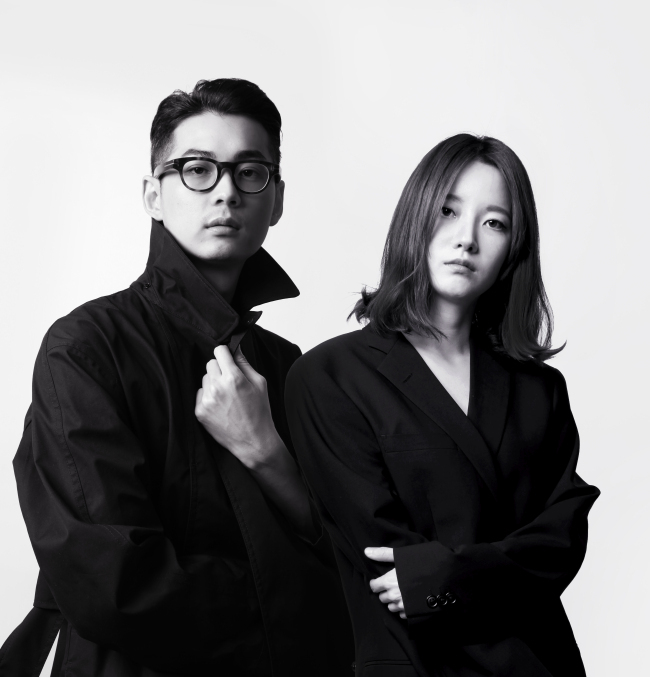 “We wanted to make graceful menswear,” designers Shin Gyu-yong and Park Ji-sun told The Korea Herald in an email interview. “Incorporating elements of gracefulness and beauty, which were thought to belong exclusively to women, we were able to visualize a genderless concept. Through fashion we hope to deliver a ‘genderless message’ to society,” the designers said. Blindness is not the only brand that has been pursuing a gender-bending concept. Gender fluidity has risen as a trend in recent years. But the designer duo is not worried, as they work with new ideas every season. The brand’s spring-summer 2017 season was inspired by the film “Danish Girl,” which tells the story of artist Einar Wegener who underwent a gender-reassignment operation. The fall-winter 2019 season focused on depicting “war and peace,” inspired by Picasso’s paintings, “Guernica” and “Massacre en Coree.” The collection featured military looks that were contrasted with romantic, extravagant flower patterns to portray the hope and innocence that are not snuffed out in wars. For the show in London, the brand presented a collection titled “You are at once both the quiet and the confusion of my heart,” depicting the emotions of pure love and curiosity. The designers created diverse patterns with multiple layers, to convey the difficulties of distinguishing mixed emotions. “The show in London wasn’t an unexpected call. But still, as it had not been long since Seoul Fashion Week ended, there was not much time to prepare new creations with another concept and mood,” the designer duo said. An agreement between the Seoul Metropolitan Government, Seoul Design Foundation and British Fashion Council helped pave the way for Blindness to show in London. The designers expressed their gratitude for those involved with Seoul Fashion Week, saying the event led them to the fashion city known for its experimentalism. “It was our first foreign collection. It feels like we did a test on seeing how far Blindness can go as a global business. We now have our answers, somewhat. It was a good experience for setting directions,” they said. Though the brand has successfully established itself, the designers were humble in their goals. “As an independent designer brand, the most important thing is to maintain the brand. We would like to establish our brand as a long-living brand with a distinctive identity,” they said.